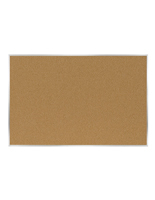 This Cork Board Features Self Healing Cork and a Sturdy Aluminum Metal Framing! This Cork Board is a Notice Board Perfect for Wall Displays Which Ships Quickly! 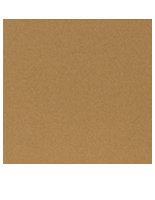 The aluminum frame bulletin board, cork board is extremely large, leaving plenty of area to exhibit numerous subject matter. 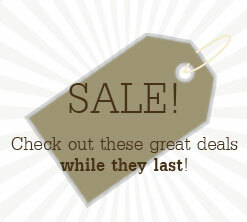 The cork board, bulletin displays, and other classic message centers are easy to exchange and sort. The finely ground cork surface of the cork board will hold tacks, push pins, and staples in place. 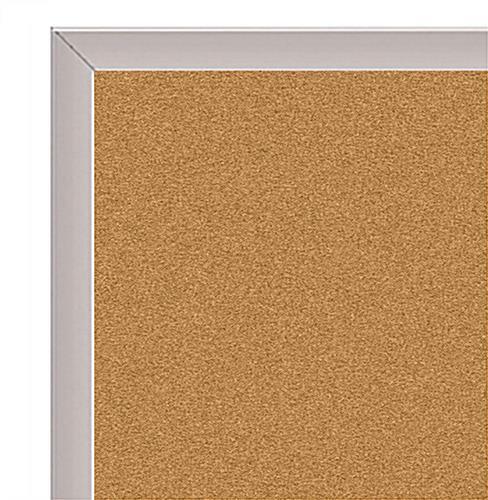 We supply the cork board with a stylish aluminum frame. This cork board, including its hanging brackets will mount close to anyplace you like. Mounting screws need to be supplied by the customer. 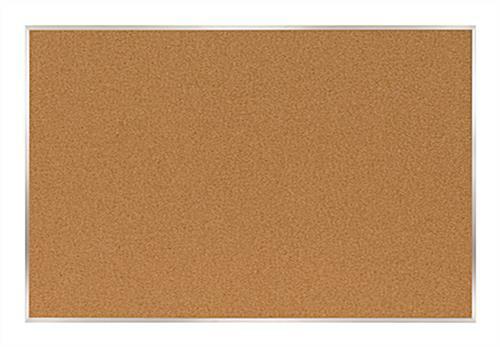 This cork board is such an ideal value at an economical price! 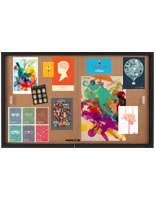 This 48" x 60" communication center is a fantastic cork board. 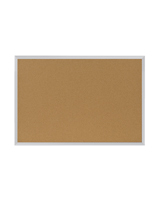 The aluminum cork board, also known as a cork board or wood-trim bulletin board, is essential to convey critical news. Whether it is for a business or an academic establishment, this cork board is a sophisticated method to exhibit information. Government agencies, churches and hospitals will opt to use a cork board for clients and workers to be made enlightened of essential information.